Under the auspice of Friedrich the Great Berlin became a major European center with aspirations to rival Paris, Vienna, and Rome, culturally, politically, and religiously. 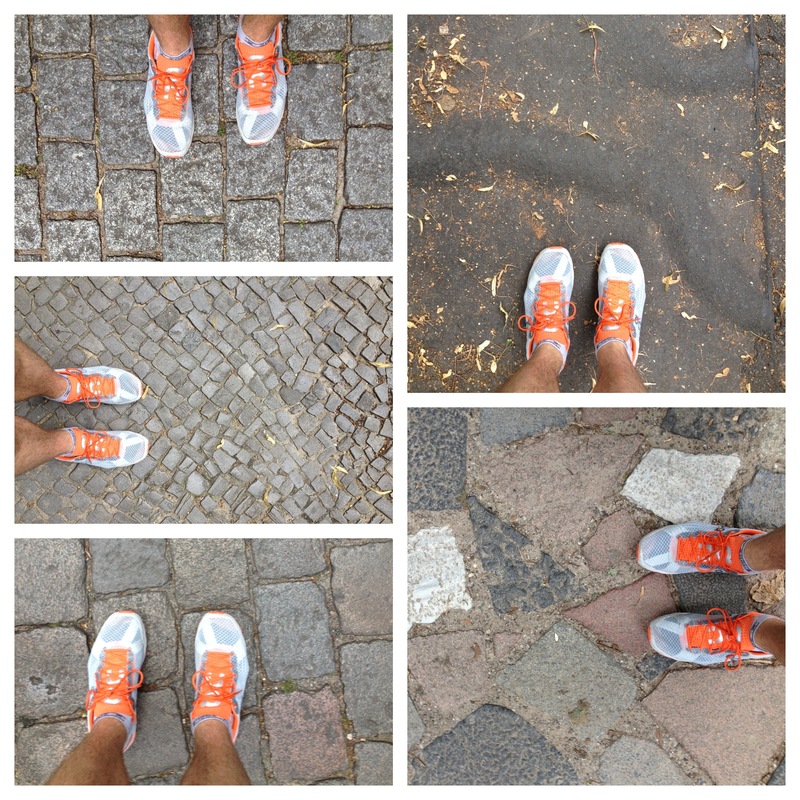 Needless to say, there is a lot to see and experience in Berlin. The city boasts one of the most intricate histories of any major European city, due in great part to its role in the 20th century, which has left it almost an anomaly in Europe and perhaps the world. There are few cities that are so multifaceted and characteristically indescribable as Berlin. Whether it’s taking in one of the city’s more than 175 museums and art galleries, or for a weekend of outings with friends with its overwhelming array of restaurants, cafés, and bars, I love visiting Berlin. This time I’m in Berlin for a wedding. The wedding might be classified as typical Berlin. No, my friends aren’t natives of the city or the area, in fact they aren’t even German. They’re Canadian and in the past four years have made Berlin their home like so many other expats and foreign nationals. While I’d usually stay with them on their couch in a flat across the way from the Friedrichspalast, it’s their wedding and I’m staying with other friends in the area of Neukölln. For me this is an interesting part of the city, because other than running through it during the Berlin Marathon, I’ve never really gone down there. Wedding here or there, I’m up for a few days so I naturally have my running gear with me. After a bachelor party that laid me in bed before the summer sun had even set on the city, I was up the next day and itching for a run. I put on my gear and headed out the door in an unknown neighborhood. With my iPhone and RunKeeper on, but with data roaming off I set off going straight down the street. It’s early Thursday morning – around 8am – in a neighborhood that boasts some of the most foreign and unemployed inhabitants in the city. In comparison to Mitte and Prinzlauerberg, it’s much dirtier too, but there are a few people on the street and I’m taking in the new neighborhood. The sidewalks are in dire need of repair, which is characteristic of Berlin sidewalks, especially in the residential areas. However, being a trail runner I don’t mind and think it’s just good training for my footwork. The summer has been unfair to the Berliners so far: the temperatures are abnormally cool and there is plenty of rain, with showers every hour or so. In the potholes and depressions in the road and sidewalks pools have formed so there is always something to jump over or dodge. At the end of the road is a wall, behind which lies a cemetery. My options are to turn left or right. I choose left and continue straight. After a few blocks I enter a park and the path is lined with trees. I continue. As I come to the end I see that it opens up. My first thought is that I’ve reached a high point in this incredibly flat city, or possibly the edge of the city, which I’ve never seen. Getting to the end of the path I find both of my thoughts are incorrect: I’m at Tempelhofer Feld. 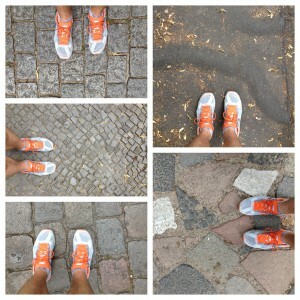 I’ve been here once before, to collect my start number for the Berlin Marathon. 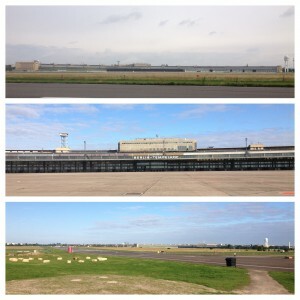 Until Berlin started to decommission its airports Tempelhof was the third airport. Built in the middle of the city during the 1920s, the hanger is gigantic and recalls scenes from Indiana Jones. I think it’s wonderful. In the Middle Ages the land belonged to the Knight’s Templar, which is where it derives its name from — Tempelhof (Templar Court). In 1909 the American Orville Wright demonstrated maned flight at Tempelhof a few months after the Frenchman Armand Zipfel had done the same thing. 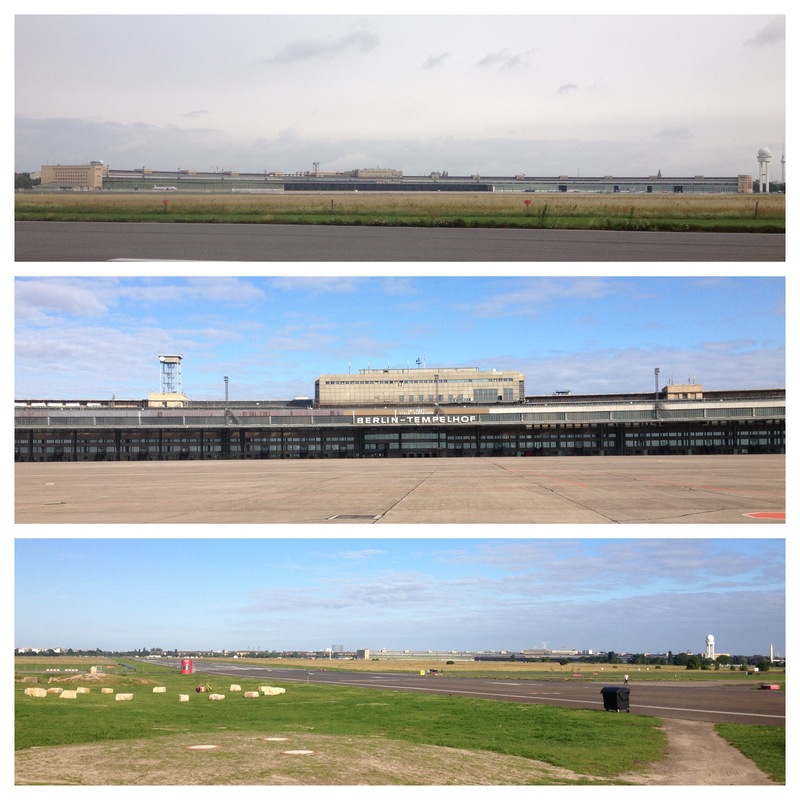 In 1923 Tempelhof was officially designated an airport and three years later the precursor to Lufthansa, namely the Deutsche Luft Hansa was formed there. To get the best impression of this extraordinary building, it is worth visiting in September when the hangars host the largest running exhibition in continental Europe in conjunction with the Berlin Marathon — one of the big five. I enter the park through its gates on the Southeast corner and see numerous people rollerblading, biking, walking, and of course running on the taxiway, which forms a giant oval around the airport. It’s conveniently marked with pink dots with markings every 500 meters. I start to follow at 4500m as I follow the dots I they go up until 5975, a few meters after that is a marking with the word START. I keep following the dots and approach the terminal and hangar building. The building is unfortunately fenced off from the rest of the park. As I circle around the West end of the airfield I see that the runways are also marked out. However, they are marked with pink lines and for the first 500 meters are marked every hundred meters. 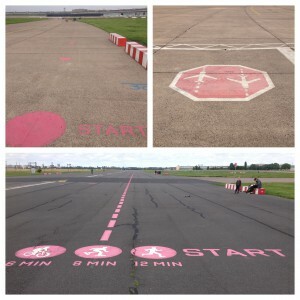 Markings at the start tell bikers, bladers, and runners the amount of time it should take to make it down the 2050m runway: 12 min, 8 min, 6 min. I run down the southerly runway having lost the pink dots on the taxiway. Now I know some of you are skeptical of running on tarmac, pavement, concrete or just about any flat hard surfaces. 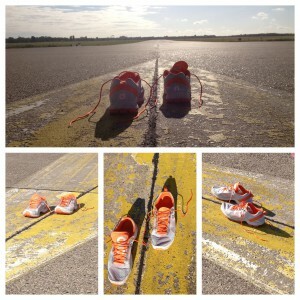 For my part I was running with a new pair of On Cloudrunners and the concrete was soft and easy to run on. For those of you looking to get off of those surfaces though, the grass on the side of the taxiway and runway are nicely groomed and you’ll see lots of others running on the side. 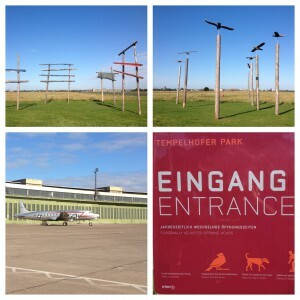 After the city of Berlin and the German transport authority officially closed Tempelhof on October 30, 2008 it was reopened as a park in 2009. The city plans to develop the park further until 2017. 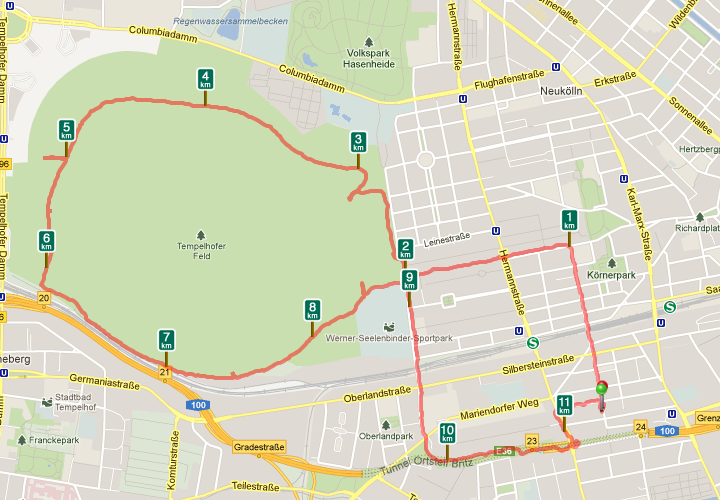 Along with the great running and biking possibilities the park offers there are several attempted Schrebergarten locations, which unfortunately detract from the park. There are designated grilling areas as well as enclosed areas for people to let their dogs run lose. The area between the two runways is closed off to the public, as it home to several endangered bird species, which is also why dogs are not permitted to run everywhere in the park. Though the park might look like a giant open field there is much space for development and I hope that the city seriously considers planting more trees and diversifying the this massive piece of public space. 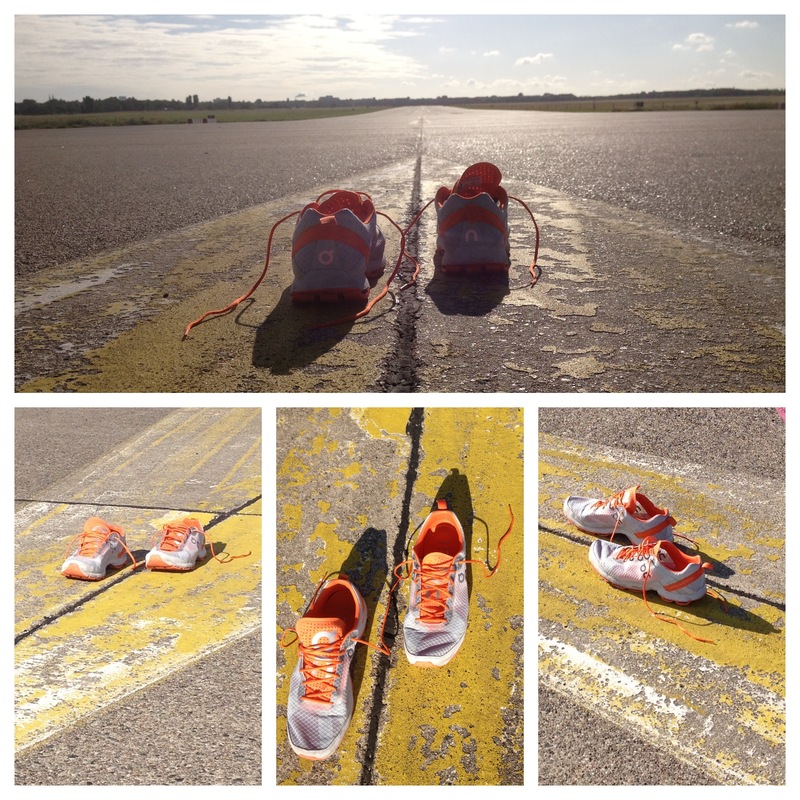 The tarmac is wonderful for running and with it’s large width offers the residents of Neukölln and Tempelhof-Schöneberg a wonderful opportunity to organize some brilliant running events. 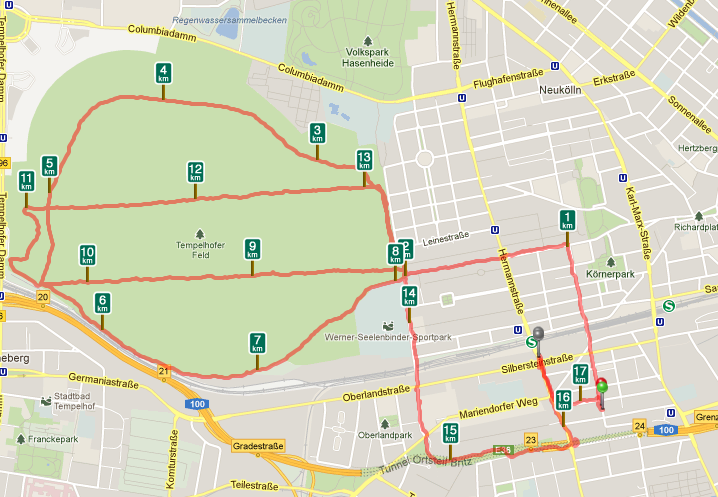 My first idea would be a fun Tempelhof 7 – 42km. As I leave the park I decide to head south right away and move east to my friends’ apartment later. Here again I get more of a feel for Neukölln. There’s a wonderful stone split path to run down. I check out my RunKeeper to make sure that I make it back to my friends’. Since RunKeeper works with GPS you can have it track your runs, but the map will not load until you have data transfer again, probably with WiFi. My map was a dot and a zigzag line across a blank screen. My goal it to try and hit the start point again, which is quite difficult when there are no references. 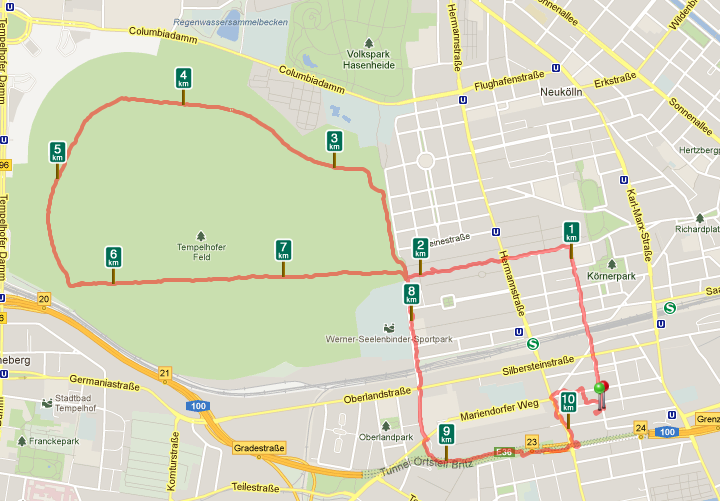 But I have a rough idea of the scale thanks to the kilometer points on the “map”. Soon I find a familiar street name and then a building and I’m back. 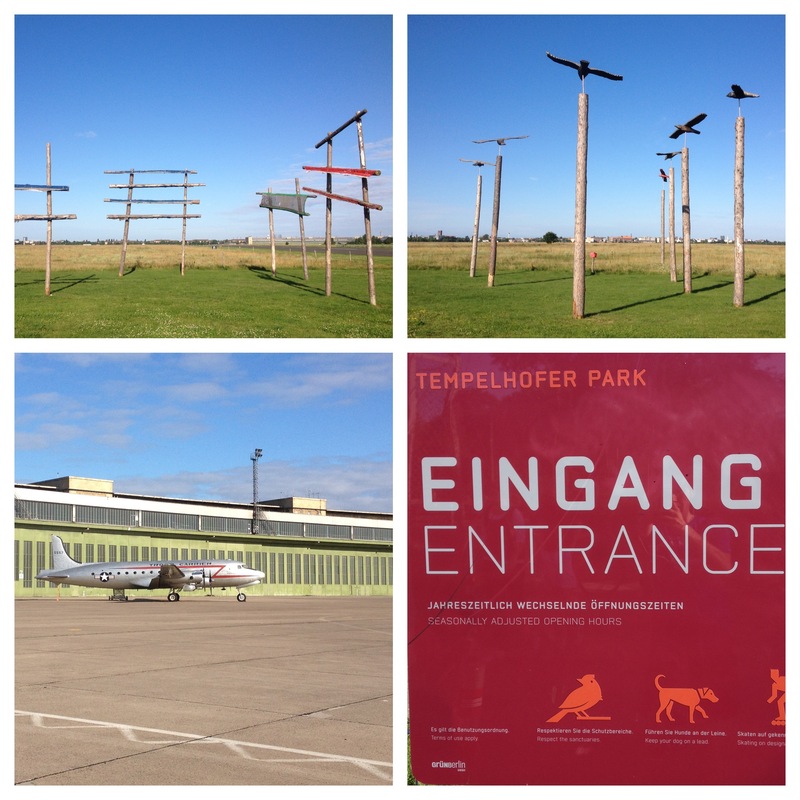 This entry was posted in Berlin, Germany, Running Locations and tagged Berlin Marathon, On Running, Running in Berlin, Tempelhofer Feld by Christian Langenegger. Bookmark the permalink. Strangely wonderful place to run. I liked the schrebergarten. There is so much space why not let people grow some food? I do agree some trees would make a better place for humans and wildlife.